Every once in a while, since we switched over to using only unrefined sugars, I miss that fluffy, powdered, white sugar that makes such delicate icings and special treats. Though I have seen some organic icing sugars, I have never seen one that was made with something like Sucanat or Rapadura. These are my granulated sugars of choice (aside from other wholesome sweeteners) because they are made of 100% dehydrated cane sugar (no high heat, no chemical process, they still retain the nutrients from the sugar cane). So, I decided to make my own. How hard could it be? Not very hard, as it turns out. 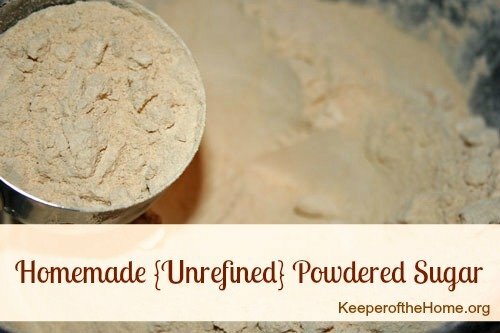 If you have a blender, you too can make your own unrefined powdered sugar! Start with Sucanat or Rapadura. I buy mine in 50 lb bulk bags from Azure Standard because it’s cheapest that way. It takes us almost 2 years to use it all up, but it’s still just fine as we near the end of our last bag, so I consider the savings well worth it. Rub the inside of your canister with a clean cloth first to ensure that it is absolutely dry. You don’t want sugar sticking to the sides, do you? I didn’t think so. In the picture above, I probably have just a bit too much sugar in there (about 3 cups). I’m using a Vita-Mix, which is a very powerful blender, so it was able to handle the load, but barely. 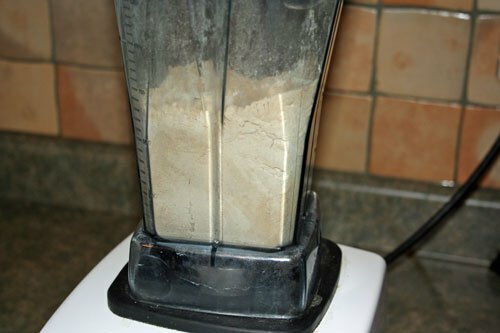 If you have a more mediocre blender, use less (maybe 1 or 1 1/2 cups at a time) and do several batches. Even in a Vita-Mix or Blend-Tec or similar blender, I would still use a bit less. Probably 2 cups maximum at once. You want it to be light enough that it can move freely, and not begin to pack down because of the weight of the sugar. I tried this again tonight with only a cup of sugar, and it was so much easier and faster to get a nice consistency and light, powdery texture. So less is definitely more. How long do you have to blend it? It really just depends. In my Vita-Mix, it took just over a minute and that was with too much sugar. When I did it the second time using less, it took more like 30-40 seconds. In a cheaper blender, it might take up a couple of minutes. You’ll just have to watch it until you get the texture you want. The finished product. You can see how powdery it really is, as it splashed up onto the sides of the bowl when I poured it in. If you don’t want to breathe in the delicious, very powdery sugar wafting in the air (cough, cough), let your blender settle for a moment or two before you take the lid off. It is also still light brown in color, not pure white. The reality is that it just isn’t white sugar. You won’t be able to color your icing without a darker, brown tone still coming through. If you want truly white icing for coloring purposes, try this Cream Cheese Honey Icing instead. This is perfect for making buttercream icing for a birthday cake or “sugar” cookies, or any other special holiday treat that you’ve got planned. Make a nice thin, drizzly icing to cover a scrumptious gingerbread cake. Enjoy the return of powdered sugar to your kitchen. Do you use powdered sugar? What is your favorite (real food!) recipe to use it in? Diaper Giveaway Winners and a New Way to Win Every Month! Thanks for posting! I thought you might have something different here, but it seems the same as what we had done. I had the *exact* same thoughts as you! But, — I hope you liked yours better than we liked ours! I made it about 5 years ago, made cream cheese icing with it, and we actually ended up THROWING IT OUT we all hated it so much! I don’t even remember what it was on! The taste is still in my mouth. LOL! And at the time we used solely what used to be sucanat and sucanat with honey — now called something else. Feel free to not post this comment…lol…but the folks that I let try my ‘dessert’ made with this sugar UNCOOKED didn’t like it at all! *and these were millers of their own wheat and using alterative ‘sugars’ for years* I really just wondered if we were all crazy! I honestly have not tried to bake with it. I was afraid to! LOL! Please let me know the taste of the recipes you used it to bake with? Thanks, as usual, for posting! I don’t read them all, but the ones that end up on my FB page… and have loved those, even though I don’t always take the time to comment 🙂 Sitting under a blanket this morning with my 9 yo made it easier to not get up this morning 🙂 but we have to ready ourselves for a meeting now – so have a GREAT day yourself! I’ve been doing this for years! It is so easy. How much do you pay for the natural sugars? I looked up Azure, but it won’t show the price until you sign up. I love your blog and am working to incorporate more natural habits into our lifestyle, but our grocery budget is around $200/month (MAX) for a family of 4. I really don’t use sugar much at all (I rarely bake), but my husband is addicted to sweet tea. We go through lots of refined sugar with his sweet tea. Any suggestions? Also, I’d be interested in posts about how to get your hubby’s to change their eating habits without being disrespectful. @Erin, Bethany above said that the 50 lb bag was around $60 and that sounds right to me (it was a while ago, so I don’t remember correctly). I think I might have gotten mine when it was on sale, because I think I paid around $1 per lb. Usually it’s more like $2 or more per lb when you buy in the small bags, so it’s well worth it. I might try seeing if he’ll go for Stevia in his tea instead. Liquid stevia seems expensive, but it goes really far because you use so little. I use the brand Nu Naturals because it has no aftertaste (which my hubby doesn’t like, but he doesn’t mind when I use this brand). Otherwise, I would say just buying in big bulk is your best bet. My friends and I just split a 50lb bag of rapadura from Azure. I believe it was around $60, and we took sign-ups ahead of time to claim as much or as little as each household wanted for a price of $1.84/lb. It worked out great! What a great idea. We only use Rapadura and I’m with you, it’s been a trick to figure out how to make a good butter cream icing (the once or twice a year I actually do it). But the timing is perfect b/c we’re celebrating my Dad’s birthday on Friday and I’ll be making the cake. Wow this is neat. I would have never thought of that. I gave up using powdered sugar for icing but recently found wholesome sweeteners made some, but its still white. This is better. I’m still in the process of gradually switching to real food. Just last night I made a dessert for our home group that called for powdered sugar, and I thought, “I wish I knew of a better alternative for this, but how can you come up with an equivalent for powdered sugar that’s ‘healthy’ and unrefined?” So, you can imagine my surprise (and excitement) when I saw the title of your post today! This blog has truly been the single most helpful resource on my journey to eating real food! I thought about doing this just the other day. I love making candy to give away this time of the year. I’m wanting to try versions that everyone still things is good, but are still more whole food. The other day I was replacing regular brown sugar with sucanat. I never did it before so I wasn’t quite sure how to make up for the texture and moisture differences. I ended up putting it in my food processor to make it a little finer and added a tinsy winsy bit of maple syrup to get it to the consistency of brown sugar. It worked great! Next time I’ll skip the processing but go ahead and add the little bit of moisture. Love this idea. I tried to sign up for Azure but they don’t deliver over here. I’m in Columbia, SC if anyone has any ideas. The guy on the phone said that even if I found a group it would be too expensive for the shipping cost. I was surprised because I didn’t get the impression that there were any “bad” areas. I’ve tried this in my food processor (never really got fine enough), and surprisingly, the Magic Bullet was the best of the group I used. I used it when I ran out of organic powdered sugar for a fudge icing that I was making from an old non-natural recipe for Texas Cake. Not any grainy sensation, and people raved about the cake, despite my NT modifications. Oh, I love this idea! Powdered sugar has been one of my few “exceptions” to our transition to healthier, more natural and organic eating. The way I figured was that I used it so infrequently it didn’t really matter that much. Next time I am definitely trying this! I might just need to make a cake or something soon so I can experiment with it and see how it turns out. Yay! Thanks for the inspiration! Store bought refined powdered sugar is fine ground refined white sugar mixed with corn starch. It is the starch that gives the powdered sugar a lot of its confectionery properties. You can perhaps add some tapioca to your sugar prior to blending. I’m not sure what a good ratio would be but I can’t imagine 1 to 4 parts would be too much or too little. This should, then make your home made powdered sugar have starch properties, too, and lend itself to things such as royal icing. @Gregg, I never knew that- interesting! So tapioca could definitely help, or maybe arrowroot powder would also do the job. Thanks for that! To get the ratio, I guess you could make separate batches of sugar/starch and then blend them into, say, a royal icing until you got the desired consistency. If you get a chance, Hallee is very curious about getting away from refined white sugar. Do you have any links to posts about your journey? Merry Christmas to you, too, and tell Hallee “hi” for me! in recipes that call for white granulated sugar…is it an even exchange for the dehydrated cane sugar? 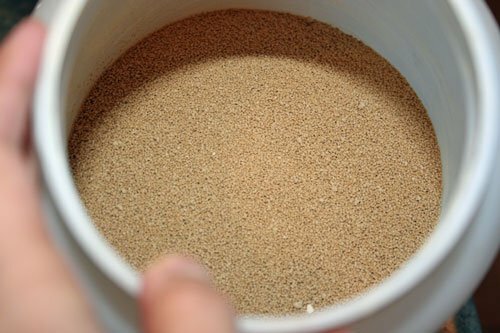 How did you store the bulk amount of your dehydrated cane sugar? does it store as easily as white sugar (ex. just keep it dry)? I posted just now. You probably moderate the comments but I am not sure if the post went through, but I’ll post again, just in case. If the previous one went through, please ignore this one. Could you give me a recipe for making icing using organic sugar (not sucanat or rapadura) or with sucanat? I have never baked a cake from scratch before, and even with a cake mix, only once. My keeping-the-calories-down strategy. I only bake vegetables :-). But it is my daughter’s birthday soon. So, I’d really appreciate your advice. As for icing recipes, I usually just use the basic butter icing in my Better Homes and Gardens cookbook, but I substitute in powdered Sucanat. I’m not sure how well it would work if you didn’t use powdered sugar of some sort. 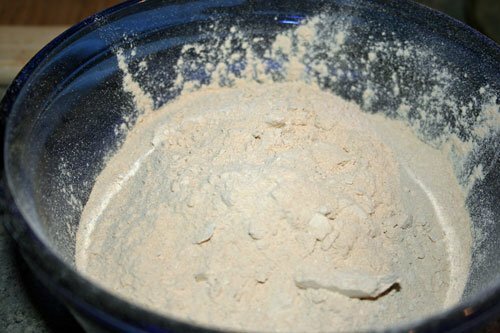 I just powder it myself, by putting it in a dry blender for a couple minutes. Another easy option is to combine cream cheese with a bit of raw honey and vanilla, until it tastes sweet enough to you. That’s a popular icing in our home! I discovered an evaporated cane juice powdered sugar that works and tastes like regular powered sugar made by Trader Joe’s, if you have one near you. It’s labeled as Organic Powdered Sugar, and comes in a plastic bag. Hope this helps someone. This sounds wonderful! Only thing where can one find this locally and could one make powdered sugar from Stevia? I buy my raw sugar either from Azure Standard co-op, or I can also buy it from my local health food store (and a couple larger grocery chains in my city actually carry one brand of it in their small health food section). It’s becoming much easier to find these days! And I’m not sure about the Stevia. You might be able to, but of course, you would have to completely re-create recipes to use it, since it wouldn’t be able to be used in place of powdered sugar in your regular recipe (it would be far too sweet if you used the full amount, and if you used less, then not enough bulk to make the recipe work). I’m using this method to treat honeybees for voroa mites without chemicals. Sprinkling powedered sugar on the bees makes the mites fall off. (voroa mites are a bee parasite – imagine a cross between head lice and ticks.) The cornstarch in store bought powdered sugar is bad for the bees. I did notice the powedered sugar from the blender has some larger grains in it. (Rub it between your fingers.) Has anyone found a way to filter the small powdery grains from the gritty grains? Can I use a fabric to sift it? I just tried it again-no dice. If I am doing something wrong, can’t figure out what. Never had this happen before. Does anyone know the current price for sucanut through that azure website. It does not show prices unless you are signed up. I have some good local places to get sugar but maybe azure is cheaper and I wanted to price compare but don’t want to sign up unless it is for sure cheaper. The last price I saw on this thread was $60 but that was 2010 and prices have gone up since then on sugar. Our daughter was recently diagnosed with a corn allergy and I’m finding it impossible to find powdered sugar without cornstarch added. So we whizzed up some regular sugar in the blender for her birthday. Couldn’t get it as fluffy though. I’m wondering if the addition of a little arrowroot would produce better results? Hi Stephanie! We’ve been using this method for some time now because my husband has a corn allergy. Instead of the blender, I use a coffee bean grinder to grind up my sugar. I try to use an unrefined sugar and just whirl it in the coffee bean grinder for about 10 seconds. It makes about 1/2-3/4 cup powdered sugar. I have never added any other starch to it (like tapioca) and use it exactly as traditional powdered sugar in a recipe. I’ve never had any issues with it acting different without the starch. I love that others are discovering this great way to turn unrefined sugar into powdered sugar as well as getting corn out of their diet. I have used my BlendTec to make white sugar (I know that isn’t best) into powdered sugar…it does take some time as I do 1/2 cup or so at a time. I found that over time my pitcher wasn’t as clear but cloudy residue remained. I know someone who used Shaklee product…basic H or nature’s bright to whiten her blender (I can’t easily find my notes to see which it was/etc. that she tried). Thankyou!!! I was looking for something to put on top of my Paleo choco/coconut slice and this did the job perfectly! I was wondering “I wonder if i can make icing out of rapadura” googled and came across your page!! Thanks again!